Drained of intelligence by a combination of summer heat, school holidays and sleepless nights, I found myself leading my wife and daughter around Gracia, looking for lunch. In a befuddled state after being awoken at dawn, I had failed to account for our early breakfast and now my daughter needed to eat, immediately, despite it not even being one o’clock. Many places were already closed for the summer and my usual favourites were crossed off the list one by one as we ricocheted around the barrio. Eventually we were forced to take pot luck and dropped into Restaurant Verdi Bo (C/Verdi 30, +34 932370335, www.borestaurant.com), right next door to the cinema, for some tapas. I’ve eaten many times on Carrer Verdi but I’d never been in here before. The menu was the usual assortment of tapas classics and there was a special offer of pescaditos fritos (fried fish) with a beer for €5.50. Prices were slightly on the high side for some things (patatas bravas at €5.20, for example) while fairly standard for others. We ordered a child-friendly assortment of pinxos morunos (marinaded pork kebabs), the aforementioned pescaditos fritos, some calamars romana (fried squid rings in batter) and some pa amb tomaquet (bread rubbed with tomato). Sorry, but I didn’t take any photos. The portions were all fairly generous and we were surprised and delighted with the standard of the food. The pinxos in particular were exceptionally good and the bread was of high quality. The squid was tender, the batter light; the fish were perfectly cooked. On the table next to us a group of 4 were having the menú del día (set lunch) which, on Saturdays anyway, costs €15. That all looked pretty good too. Verdi Bo isn’t especially cheap but it’s no bank-breaker either and we thoroughly enjoyed what we had. I’d definitely go back and would certainly recommend it as a place for traditional tapas in Gracia. Afterwards, we headed to somewhere I HAD intended visiting: the nearby and recently-opened organic ice-cream parlour Bodevici (C/Torrijos 21, www.bodevici.es). It’s take-away only but the lady behind the counter generously allowed my daughter to use the staff toilet when we arrived in a state of lavatorial emergency. Disaster averted, we then ordered a selection of what was on offer. Everything at Bodevici is 100% organic. There’s a decent selection of sorbets and ice-creams that avoids too many outrageous varieties and focuses on the traditional favourites. Our daughter demolished her strawberry ice cream with great enthusiasm though I’m personally not a fan of any strawberry ice-cream. My wife’s biscuit cone with goat’s cheese ice-cream was delicious and rich without being especially goaty. I was slightly disappointed with the stracciatella — the superb dark chocolate was let down by the overly grainy texture of the ice-cream itself — but the egg-yolk vanilla was sensational, as good as I’ve had in Barcelona. Vanilla’s always my litmus test for ice-cream shops and Bodevici passed with flying colours. Bodevici’s website is long on waffle and short on telling you when their shops (there’s another one near Fontana Metro station) are actually open. which is a boo-boo rather than a bo-bo for an ice-cream outlet. Regardless, if you are in that part of Gracia area at ordinary eating times — or even slightly earlier –you could do worse than try the ‘double Bo’ combination of Verdi Bo then Bodevici. First of all congratulations for your blog! In Bodevici bioconcept are very happy to be in it and also to know that you enjoyed our organic ice-cream! Regarding your remarks on our website, everyone can now be informed of our opening times (http://www.bodevici.es/tiendas )and we now have the website also in English! 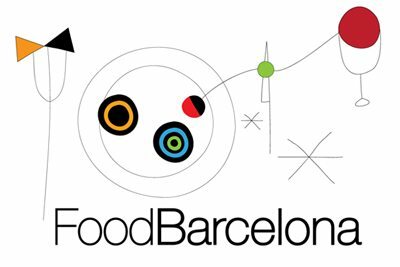 All the best with “FoodBarcelona”!! Thanks for the feedback on the blog — keep up the good work!